Ahhhh, 1986, the year of new beginnings in America. President Reagan’s Star Wars initiative got voted down, the Oprah Winfrey Show debuted, as did a new TV network called Fox. The country got an early shock to the sense when the space shuttle Challenger exploded over Cape Canaveral Florida, killing all seven astronauts onboard. 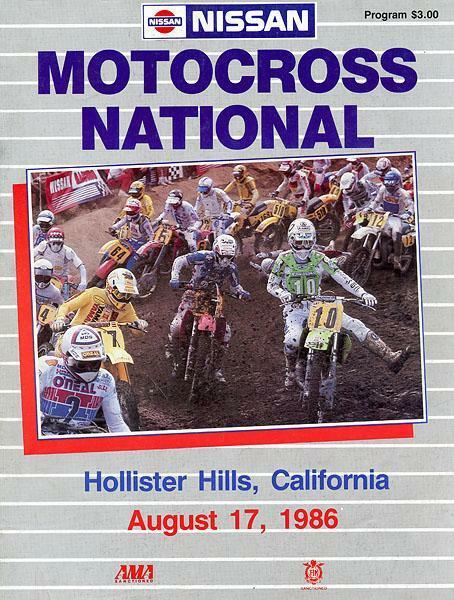 Hollister California hosted a 125/500 national in '86. 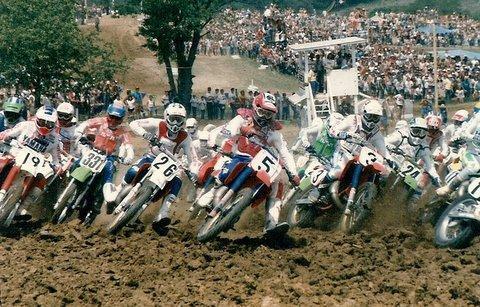 As we touched on in yesterday’s column, some big changes came over American motocross in the form of combining the 250 and 500 classes into one five-race series for 250s and (in a little bit of a strange move) one six-race series for the 500s. They would run alongside 125 Nationals in to make up an eleven-race series. By stacking the top big bike riders into both the 250 and 500 classes, it would ensure depth in them that hadn’t ever been seen before in the AMA series. Another big change was the elimination of works bikes. All racing would be done off of a production model base. So the bike that David Bailey rode in 1986 had the same engine cases, swingarm and gas tank as the one you bought in the dealership. This was hoped to curb the outlandish spending on works bikes and maybe make the production bikes better. The ’85 works Hondas were some of the trickest bikes ever made and the other OEM’s licked their chops thinking that Honda’s advantage had been taken away for 1986. Little did they know that it would be an even bigger advantage for the red riders. Honda signed Rick Johnson away from Yamaha and it would prove to be a great move as RJ really came on strong. More massive changes took place with riders jumping ship left and right. Yamaha’s superstar Rick Johnson switched to Honda while Honda’s wonder-kid Ron Lechien went to Kawasaki (after he was fired by Honda after being arrested in a Japanese airport, as we mentioned in yesterday’s 1985 piece). Bob Hannah’s contract with Honda was up, so he signed with Suzuki as a development rider/part-time racer. Yamaha expanded their factory team with the additions of Jim Holley, Danny Storbeck and Keith Bowen. Honda also made a somewhat questionable choice when they added Husqvarna’s 500 rider from 1985, Micky Dymond, to ride the 125 Nationals. Southwick was back on the national schedule this year as was a new track in Axton, Virginia that was promoted by David Bailey and was even located on Bailey’s property. A national was also added at Hollister, which was in Northern California. Johnson and Bailey dominated the entire season as these two rivals pushed each other to new heights. Johnson, the new guy on the team, stepped his game up from his Yamaha days and was now a premier rider in the class. Bailey was powerless to stop RJ from claiming the supercross title. Things got worse in the 250 nationals as Johnson really hit his stride. The kid now known as “Bad Boy” Rick Johnson won every round of the 250 series but one. Jeff Ward, who won the 1985 titles, managed to win one national but struggled with his new production bike and injuries. Ward’s new teammate Lechien was also having trouble getting adjusted to the new production machines from the green crew. Honda’s Johnny O’Mara tore his knee up at the first supercross and although hobbled, was the third musketeer all year to Johnson and Bailey. It was a great performance by the number five (Johnson) and number six (Bailey) both indoors and out. Johnson was known for hanging it out, Bailey for his calculated smoothness. Their rivalry was set. It was going to be these two going at it for a long time. Or was it? Coming into the 500’s, Bailey was determined to stop the charge of Johnson and used his previous years of experience on the big bike to end RJ’s streak. 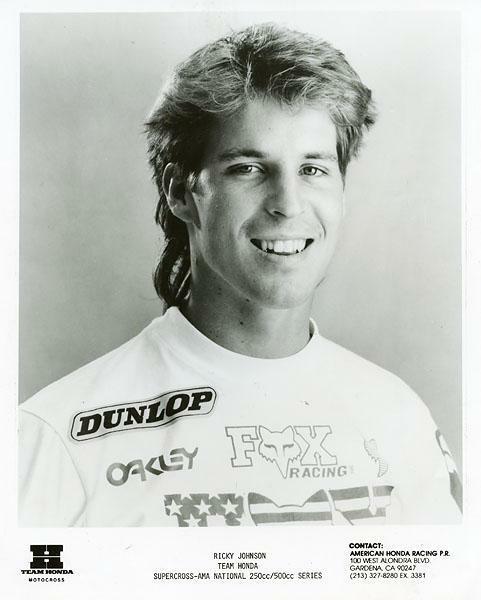 RJ, meanwhile, was trying to become the first rider to ever win three titles in one season (SX, 250 MX and 500 MX). Bailey won his fourth national championship by the slimmest of margins as he clinched it at the final national in Washougal. Honda’s big gamble on Dymond paid off as the California surfer dude won his first national championship. This signing and the championship it produced truly did come out of left field. It speaks to 1986 Team Honda managers Dave Arnold and Roger DeCoster’s ability to find a, pardon the pun, diamond in the rough for a rider, as well as how good the production 1986 CR125 was. The class was stacked and fairly even with Dymond winning three nationals, Keith Bowen, Erik Kehoe, George Holland all winning two races. Another racer that won two nationals was Kawasaki’s amateur sensation and Michigan Mafia member Eddie Warren. Warren showed great promise in his second year in the pros. 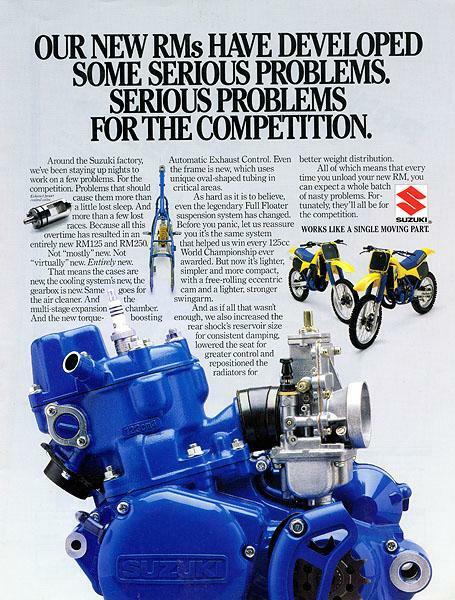 The Suzuki's came out swinging in '86 with blue motors and a bunch of 125 riders. At the end of the year, Dymond used speed and consistency to end up with the number one and Honda, in the first year of the production rule, swept all four titles that were up for grabs that year. All in all, Honda won 54% of the outdoor races in the ’86 season. Johnson claimed the 500 USGP at Carlsbad. 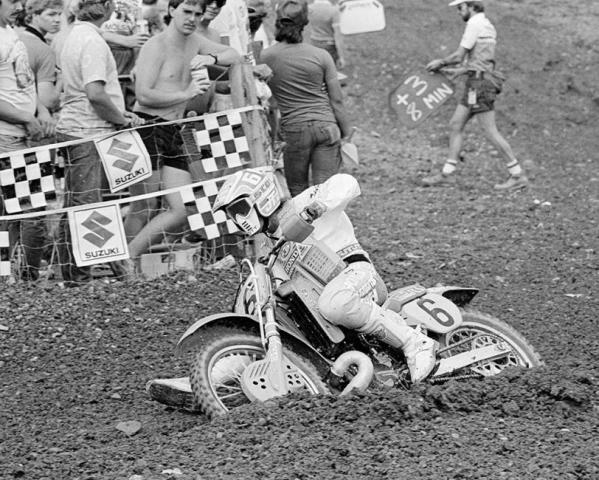 And in an amazing day, Bob Hannah’s career-long Unadilla jinx came to an end in dramatic fashion at the 250 USGP. O’Mara was on the verge of outdueling Hannah to win the second moto and the overall, until he ran out of gas on the last lap. Hannah cruised by and crossed the finish shrugging his shoulders. He had won the race on his RM250. He was mobbed by fans at the finish. In an epic Motocross des Nations that still gets spoken about today, Honda sent their power trio of Johnson, Bailey and O’Mara (on Dymond’s 125) to Maggoria, Italy and absolutely cleaned house. The riders went 1-2 in every single moto with O’Mara beating everyone but his teammate Bailey on the 500 in one moto. It was an amazing race and America seemed like it couldn’t be stopped in these end of the year Olympics of Motocross.